Credit cards are quick and convenient, but that can mean trouble. When your card is this easy to use, it’s no wonder it can be so easy to use it like it’s second nature. Addiction is quite common with credit cards, so it’s important to know the signs you’re addicted to your credit card. Does your partner know you have a lot of debt accumulated on your credit cards? If not, that’s not a good thing. In doing this, you could be hiding any correspondence from credit card issuers or hiding anything that you have been charging. Keeping your debt a secret shows that you have admitted your problem to yourself, but are still unable to ask for help or admit it to someone else. When you hit the limit on all of your credit cards, it means you’re spending too much. If you are at this point, chances are your spending has exceeded your monthly income, which means it’s going to be even harder to pay off your debt in the long run. Now, if you’re maxing out on your credit cards, there’s a good chance you’re proceeding to open new accounts so you can continue to spend while you’re working on getting those other payments down. Opening another account means you’re not afraid to open yourself to more potential debt just for the sake of using your credit card. If your credit card debt hasn’t caught up to you yet, it will. Then you will have to start paying it off. At this point, some people go to extreme lengths to get the money they need. Once you start resorting to sketchy loans or dangerous methods to obtain money to pay off your debt, that’s a sure sign something needs to change. You know it’s not a good sign when your APR increases, but you don’t even flinch. To you, this is just another price to pay to continue to use your credit card. As you continue to swipe your card for every single purchase, your balance continues to increase. Of course, when you’re using it that often, your payment becomes larger and larger quite quickly. When it grows that fast, it’s a sign that you need to look at your credit card spending. It’s so easy to swipe your card and pay later. 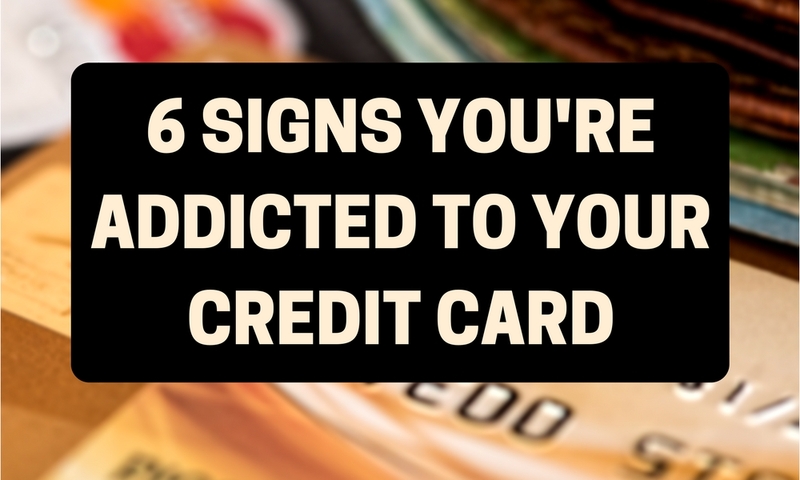 Be aware of these signs you’re addicted to your credit card spending. Then, unfortunately, before you know it, you’re in extreme debt and stuck trying to find ways to pay everything off. Plus, it’s not great for your credit. If you need help fixing your credit after going into credit card debt, give us a call at 1-866-991-4885.